There are some cooking disasters that nobody but us know, secrets that we’ll take to our grave as if they were bedroom secrets. Others, well, those others nobody seems to forget. My most infamous ones you ask? They seem to all involve rice. When I was 12 years old my mother, a working mom, asked me to reheat the food every day when I arrived from school and set the table before she arrived for lunch, in those times, and this will shock kids today, there were no microwaves. Also, kids were expected to do more work at home, so stop nagging your mom about your chores. And get off my lawn while you are it. One day she had not had time to cook arroz blanco (white rice) and she asked me (well, more like told me) if I could do it. “Yes, of course”, after all I had seen mami cook rice hundreds of times. How hard can it be? It all seemed easy, when the water broke the boil, I added the rice, I saw mom do that. So far so good. The water evaporated and I notice that the rice was still raw. “Hmmm… that’s strange, perhaps I should add a little more water”. And water I add. The water evaporates again, the rice is a little soggy, but raw inside. “Maybe it needs more water”. Rinse and repeat. At lunchtime we had a pot full of a substance that resembled industrial glue in texture and appearance. It probably had the same taste. I’ve certainly come a long way, baby. We call it Locrio de Pollo, though it’s technically Arroz con Pollo (Rice and Chicken), as it’s called elsewhere in Latin America. One of our little idiosyncrasies. 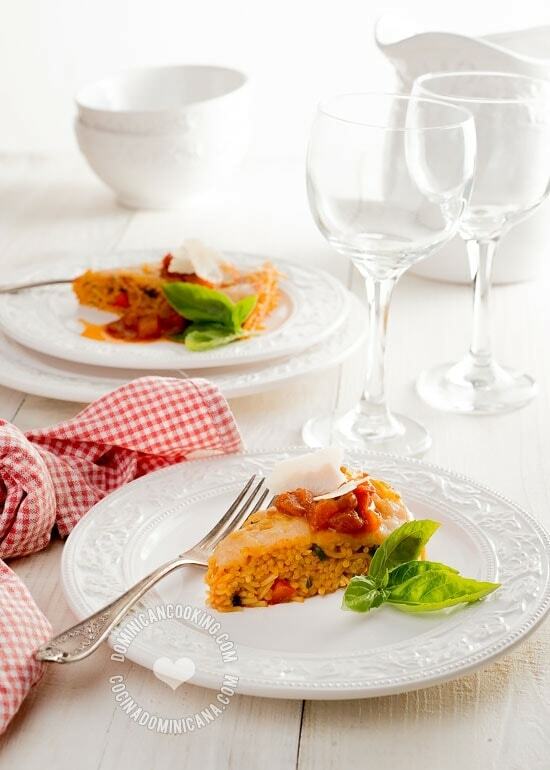 Locrio de Pollo Recipe (Rice and Chicken): probably descended from the Spanish paella, it combines herbs, rice, chicken and vegetables in a juicy rice dish. It will knock your socks off. Marinate the chicken for approximately 10 minutes in a bowl containing the cubanelle, oregano, garlic, celery, olives, coriander, thyme, 1 teaspoon of salt, and a pinch of pepper. In an cast iron or aluminum pot heat 3 tablespoons of oil over medium-high heat, reserving 2 tablespoons for later use. Add sugar to heated oil. When the sugar turns dark brown, add the chicken (reserve vegetables and herbs from the marinade), being careful with splattering oil. Stir, cover and simmer for 10 minutes, adding water by the tablespoon as it becomes necessary. Lower heat to medium. Add the vegetables from the marinade, the pumpkin and the tomato sauce and stir to combine. Add 4 1/2 cups of water water and bring to the boil. Taste the water and season with salt to taste. Add the rice and stir often to avoid excessive sticking. Once all the water has evaporated, cover with a tight-fitting lid and simmer over very low heat. Wait 15 minutes, uncover add the remaining oil and stir moving the rice at the bottom to the top of the pot. Taste rice for doneness; it should be firm but tender inside. If necessary, cover and simmer another 5 minutes over very low heat. Not completely, it’s just my and my family’s preference. Thank you for including the nutrition facts! What to substitute for cubanelle pepper? How many people does it feed??? ?